1958 was the International Geophysical Year: several thousand researchers from 67 countries combined forces to lay the groundwork for sharing knowledge in the Earth sciences setting up more than 60 bases in the Arctic. 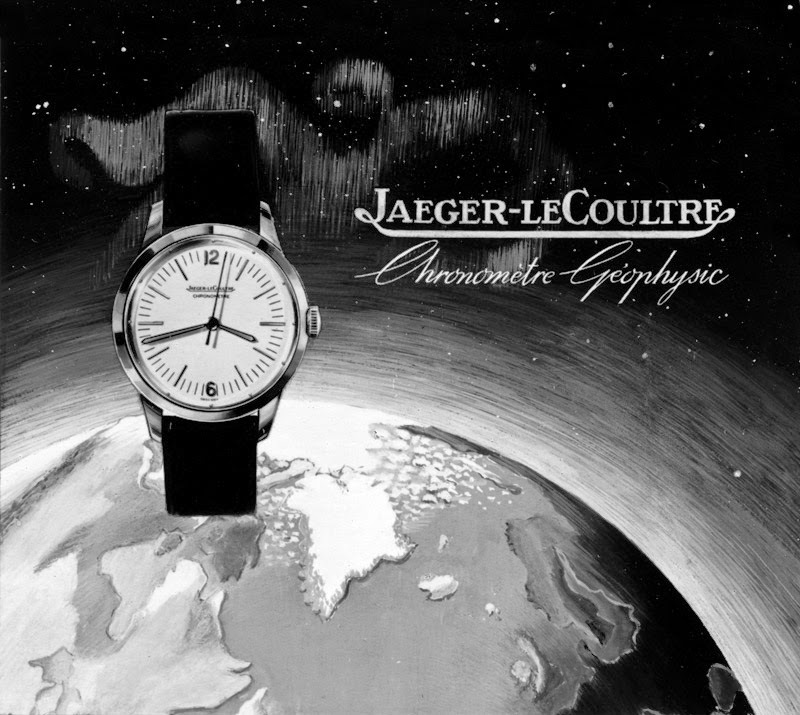 Jaeger-LeCoultre was part of this project by creating an outstandingly rugged watch: protected against magnetic fields, shock- and water-resistant, as well as extremely accurate, the Geophysic Chronometer accompanied the explorations of these scientists. 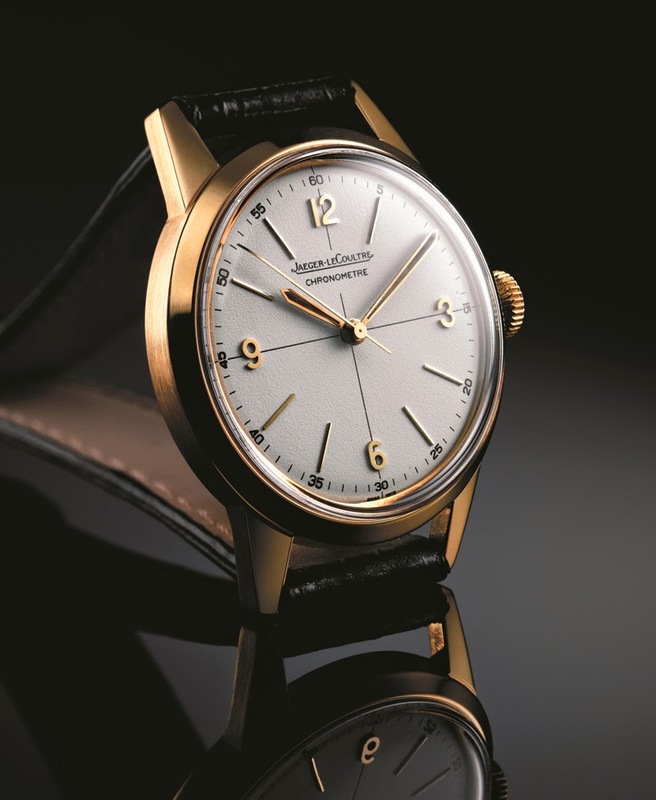 56 years later, Jaeger-LeCoultre pays tribute to this legendary timepiece presenting a re-issue of the original model, the Geophysic 1958, available in three limited editions in stainless steel, rose gold or platinum. The case of the original model had a diameter of 35 mm. While maintaining the original lines and distinctive style, the new Geophysic 1958 updates the case size to 38.5 mm, more in line with current trends. 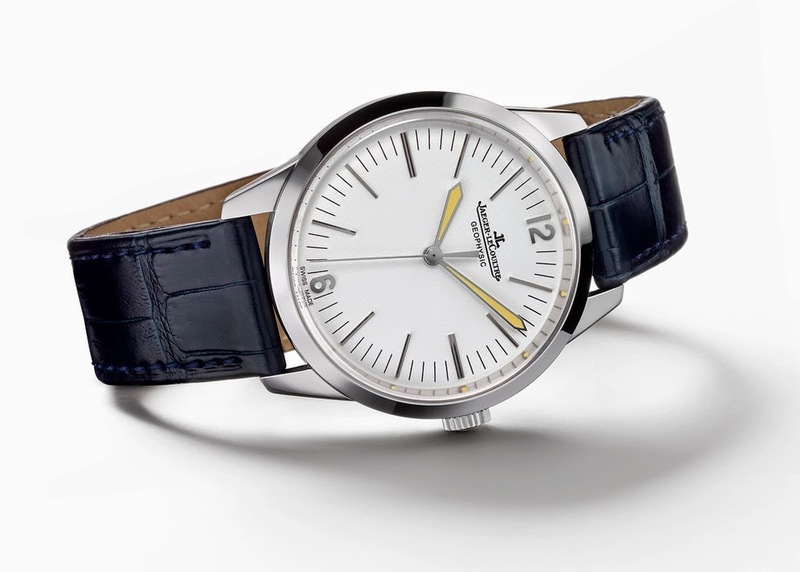 The Geophysic 1958 is equipped with the Jaeger-LeCoultre Calibre 898/1 featuring a stop second for accurate time-setting; a frequency of 28,800 vibrations per hour for high precision; a balance with micrometric adjustment by means of screws set into the rim; Kifparechoc for shock-resistance; Spyr gears for smooth transmission of torque in the gear train; automatic winding with ceramic ball bearings that require no lubrication. This highly reliable movement provides a power reserve of 43 hours when fully wound. A soft iron inner case is used to protect the watch against magnetic fields. For this reason, this model has no visible movement and adopts a solid case back with engraved “J” and “L” initials on a globe criss-crossed by latitude and longitude lines. The case is water resistant to 100 metres. Faithful to the original, the white grained dial features dagger-shaped hands with vintage coloured luminescent coating, also used for the lume dots running around the vertical band inside the dial. The steel and rose gold versions have large 3, 6, 9, and 12 numerals to interrupt the applied baton hours markers while the platinum model has a slightly different dial with 6 and 12 numerals only. Each version of the Geophysic is fitted with an alligator leather strap secured by a pin buckle in colours matching the metal of the case: black for the steel model, chocolate brown for the pink gold variation, and blue for the platinum one. 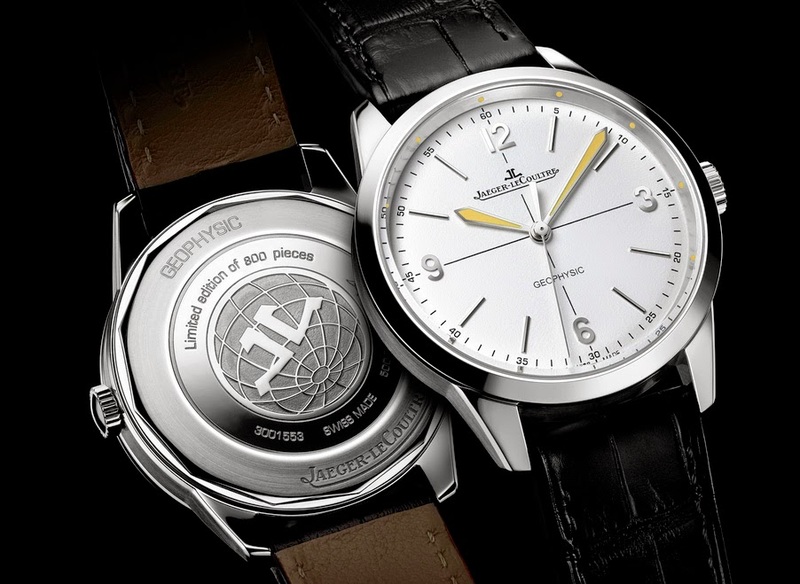 The Jaeger-LeCoultre Geophysic 1958 will be available in limited editions of 800 pieces for the steel version (ref. Q8008520), 300 pieces for the rose gold model (ref. Q8002520) and just 58 pieces will be produced in platinum (ref. Q800652j). 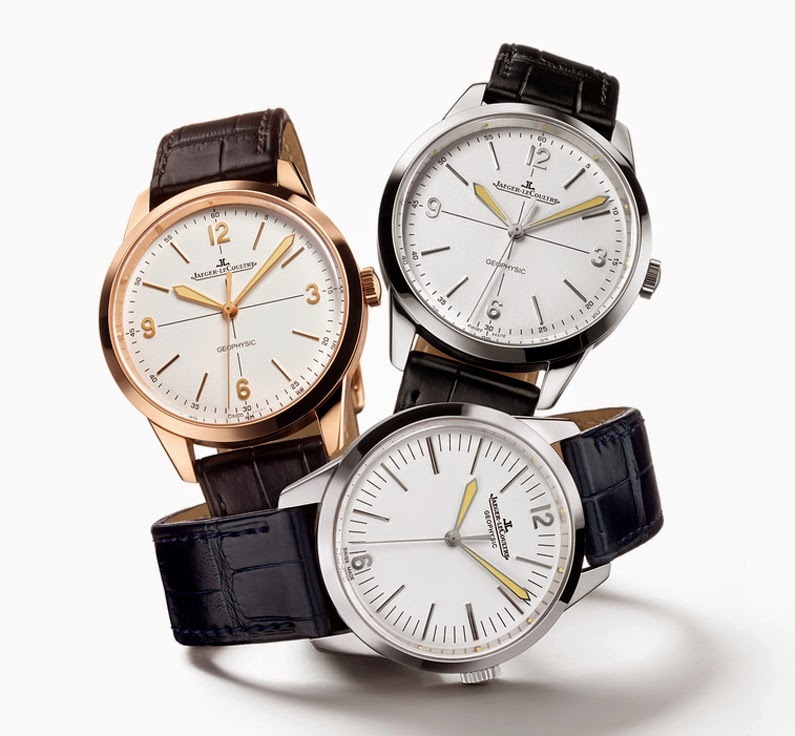 Retail prices will be US$ 9,800 in steel and US$ 20,800 in rose gold, and US$ 32,000 for the platinum version, available exclusively in Jaeger-LeCoultre boutiques. In 2014 Jaeger-LeCoultre pays tribute to a legendary timepiece presenting a re-issue of the original model, the Geophysic 1958, available in three limited editions in stainless steel, rose gold or platinum. 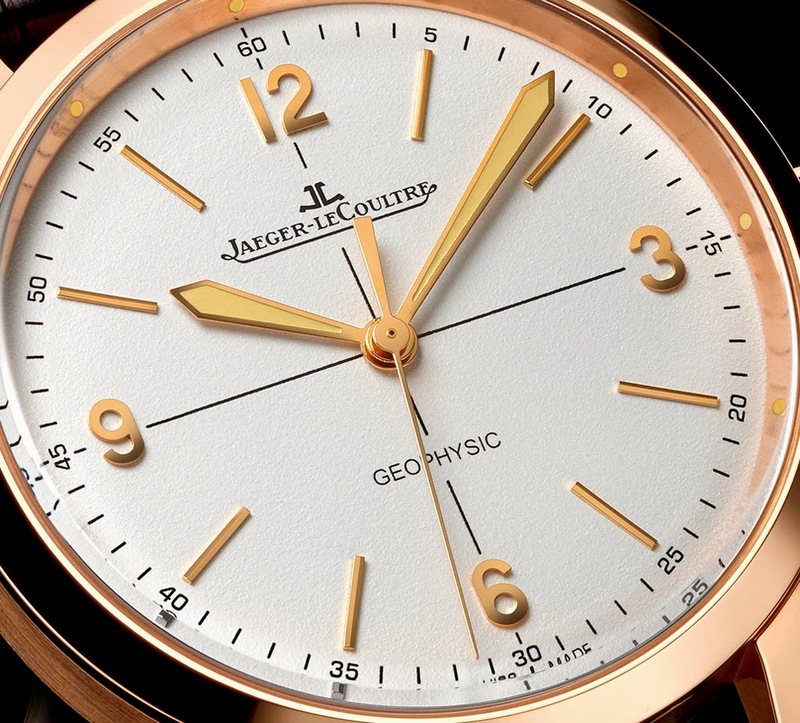 The Jaeger-LeCoultre Geophysic 1958 watch will be available in limited editions of 800 pieces for the steel version (ref. Q8008520), 300 pieces for the rose gold model (ref. Q8002520) and just 58 pieces will be produced in platinum (ref. Q800652). Retail prices will be US$ 9,800 in steel and US$ 20,800 in rose gold, and US$ 32,000 for the platinum version, available exclusively in Jaeger-LeCoultre boutiques.